See also functions of cellular organelles (a list of organelles and their functions - including organelles in plant cells and animal cells). What are the functions of a cell ? There are many different types of biological cells including lots of cells that are specialized to perform specific functions e.g. neurons are nerve cells whose function is to transmit tiny electrical pulses around an animal's nervous system. What functions are performed (to a greater or lesser extent) by all biological cells ? 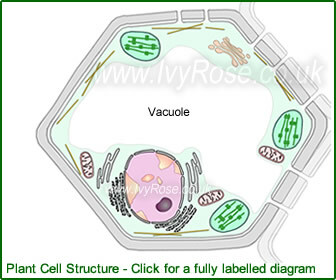 Due to the huge variety of different types of biological cells, including different types of animal cells, plant cells and bacteria cells, it can be tricky to identify functions (or processes) common to all cells. The list in the following table is therefore quite short - so hopefully easy to remember. In biological terms, a cell's main purpose is to survive - especially in the cases of single-cell organisms. There are many single-cell organisms e.g. amoeba (a single cell "animal"). In appropriate environments such single cell organisms can live, feed and reproduce. In their cases, the functions of the individual cell must include all the actions necessary to support all the characteristics of life - including moving, eating, breathing, growing, secreting and reproduction. So, although specific types of cells have particular functions within tissues/organisms, there are some functions that all cells need to perform in order to survive. Biochemical particles such as ions and molecules need to travel through the structures, e.g. tissues, of organisms to reach the locations where they are needed. 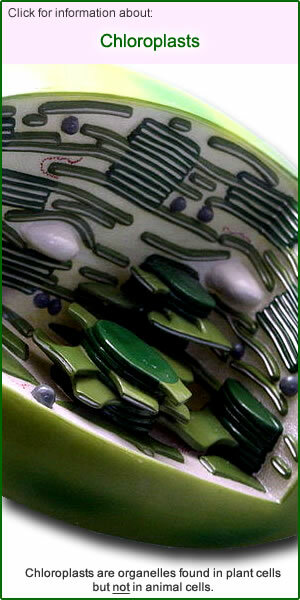 Such structures are composed of cells. There are various transport mechanisms via which particles can travel through (or via) cells. For example, the functions of cell membranes include enabling transport of various substances via the selective permeability of the plasma membrane, by active transport and by exocytosis and endocytosis. Plant cell walls enable water and some solutes to travel via the apoplast system - along either apoplastic pathways or symplastic pathways. All cells perform chemical reactions, i.e. metabolic processes. Different cells exhibit different types of motility. In general the term motility can refer to movement of some components of the cell or to the movement of the whole cell e.g. within a fluid. Prokaryotic cells move by rotating a rigid flagellum. Eukaryotic cells e.g. plant cells and animal cells move via the actions of flexible cilia or flagella. Transmission of genetic material from one generation to the next occurs via cell division. A cell's genetic material is duplicated within the cell before cell division so that each newly formed cell begins life with complete genetic information. There are two types of cell division. They are mitosis and meiosis. Note: The above list of functions of cells are in no particular order. The numbers in the column on the left are just for ease of reference.